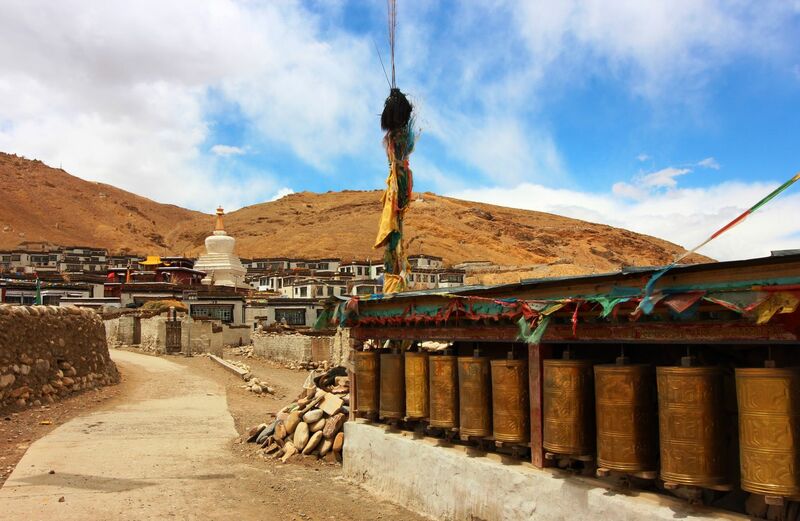 As we drop into Old Tingri on the Tibetan plateau we can see Mt Everest, the highest mountain in the world. A sight to behold because here the land is flat, barren and cold. 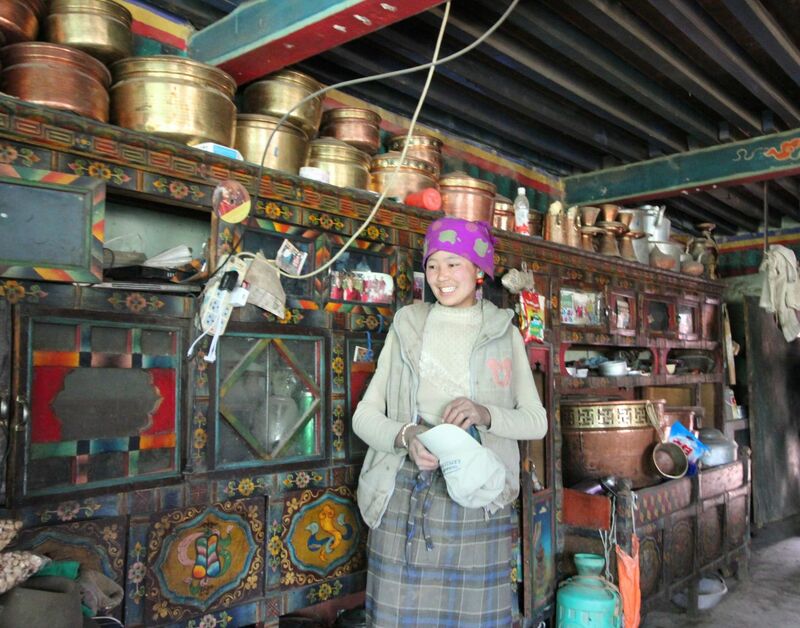 Along this expedition I’ve gotten to know Ping Ping, our Tibetan guide. 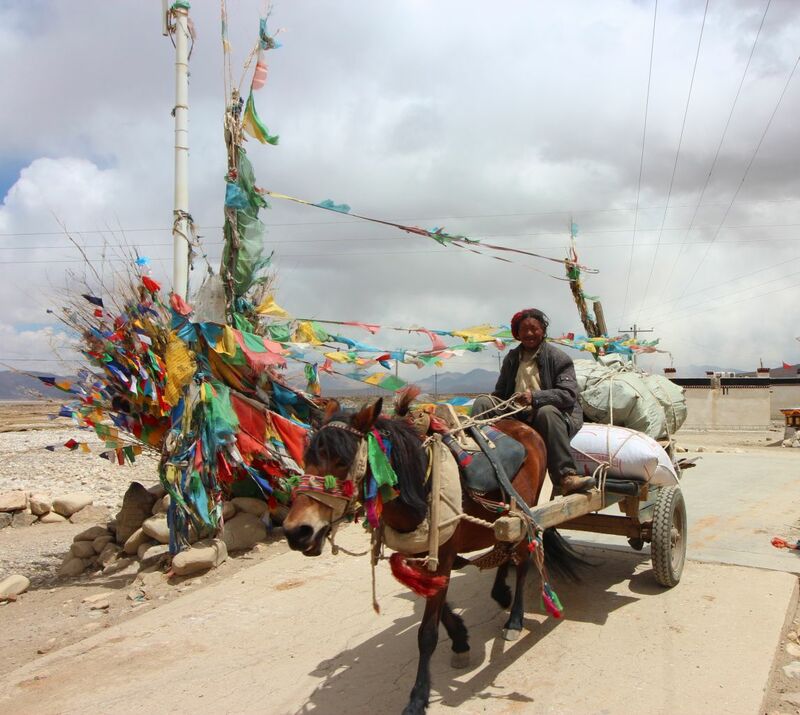 On any Trek, or ride you take into Tibet you guides will make or break your experience. Ping Ping knew, everything and everybody and I mean that very seriously. As a child he was snuck out of Tibet and was brought to Dharmasala, the home of the Dalai Lama, for 10 years he was training to be a monk, learning the truth about his history and heritage. Ping Ping audienced with his Holiness regularly. Things went awry with his family in Tibet and the Chinese government and he returned home to help. For that good deed, he served a year in a Chinese prison. Ping Ping knew this area and its people well and he took us to visit the Lang Kor Village and Lang Kor monastery, its structures date back to the 11th Century. 1097 AD. It is truly amazing to experience a beautiful culture that literally could be 1000 years old. We visited with his friends who welcomed us into their multi-story home. The first floor was for animals and the second was their living quarters. They proudly showed us their loom for making blankets, the kitchen full of brass pots and a coal burning stove that supplied heat and cooking. lang kor village and temple. The village had four generations of families and the mother of the three children had 4 other husbands. That was the tradition here, they were all brothers and the man we met was the eldest. The others had homes elsewhere in the village. If something happened to the eldest the next in line would become the head of the household. They were they laughed about the unusual sleeping arrangements, and is seemed that if these strange looking tall men dressed in moon suits were Ping Pings friends, we became theirs. 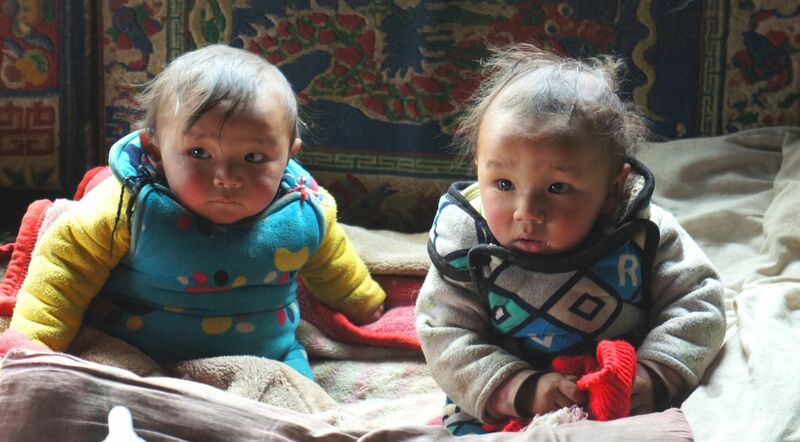 At one point the mother just grabbed her baby and began breast feeding as if we weren’t there, another young Tibetan woman kept staring at me and rubbing her face. I asked Ping Ping want she was doing. He said Tibetan men have very little facial hair and she want to touch my beard, that made her day. This is why one goes on such an expedition with Himalayan Road Runners. 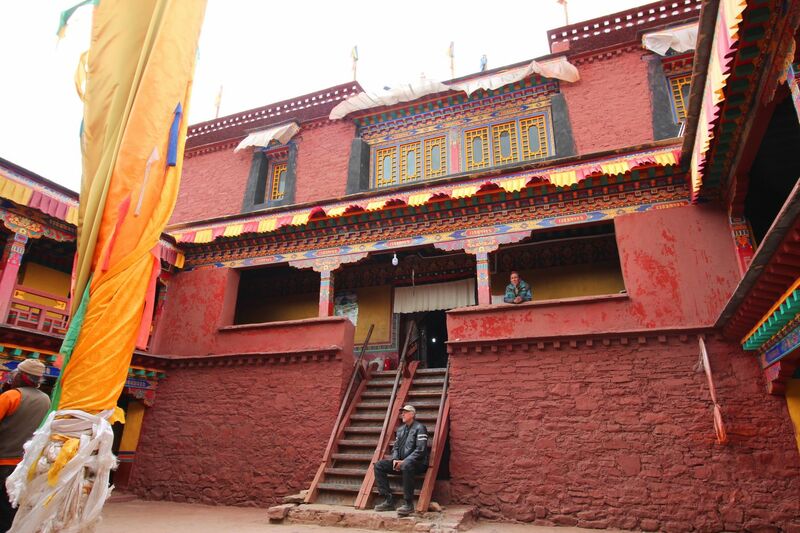 Rob is, in essence Tibetan; he takes you on roads and to places that truly embody the heart Himalayas, untouched by the throngs of tourist and trekkers. I can’t express enough what how amazing it is experience a culture so rich in history and as yet, untouched. Outside the village is an 11th century temple survived that Maoist Cultural Revolution in 1957 for several unlikely reasons; first the temple became a kitchen for the Chinese army. Then became storage for grains and other foods. 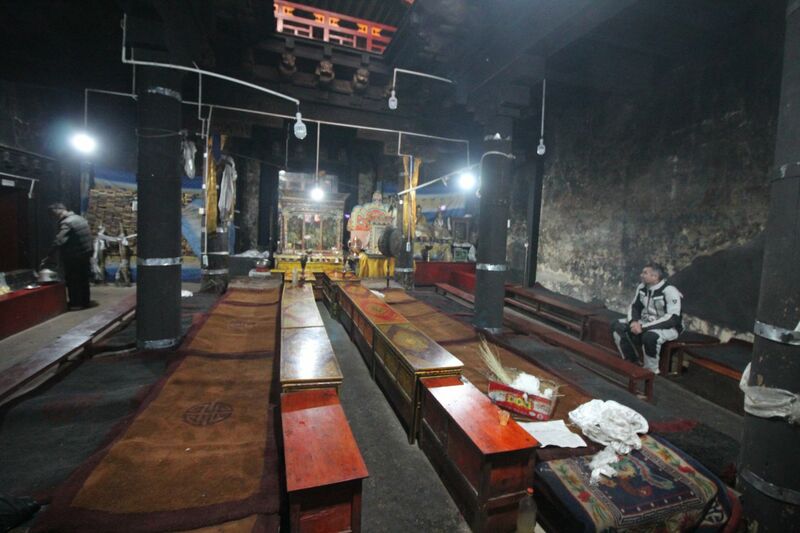 This temple only starts rebuilding two years ago. Inside you can see slight remnants of the original wall paintings destroyed by the smoke and of time. No monks live inside the monastery because they are afraid. Afraid the Chinese military will arrest them. There are three full moon services that will bring the monks and the local Buddhists come out in mass and that the only time they feel safe to appear in their robes at a monastery.